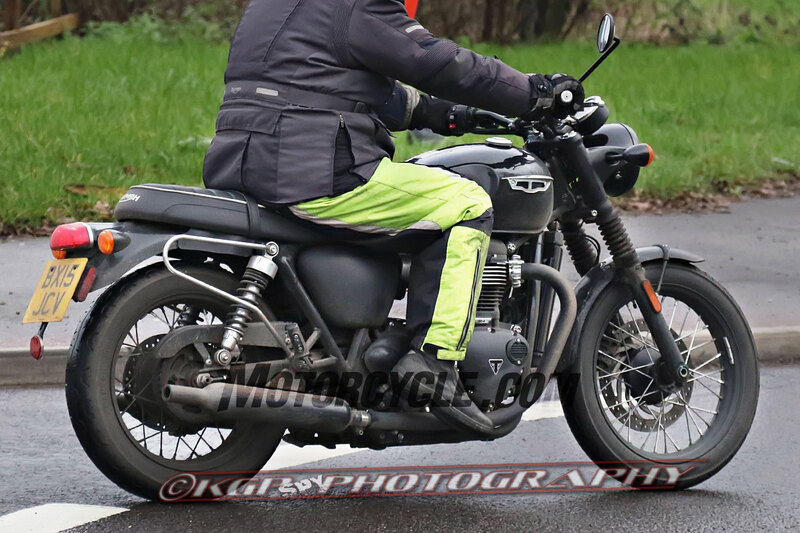 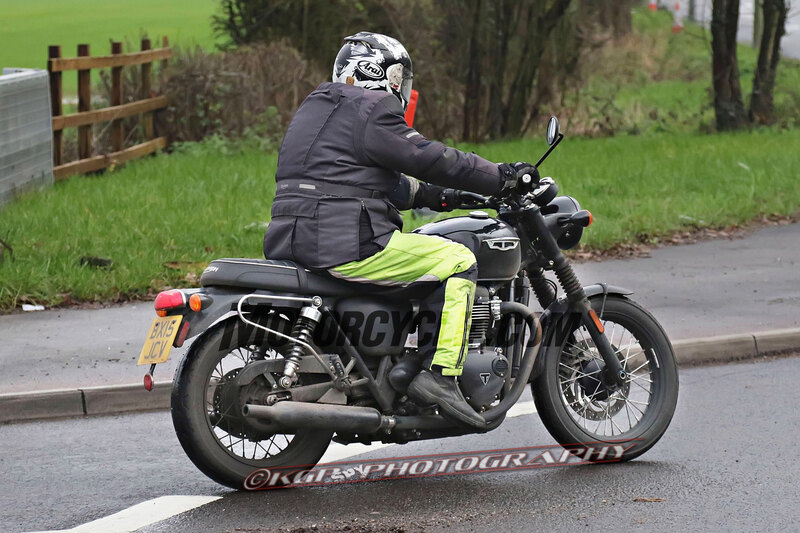 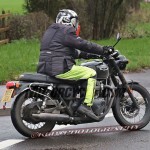 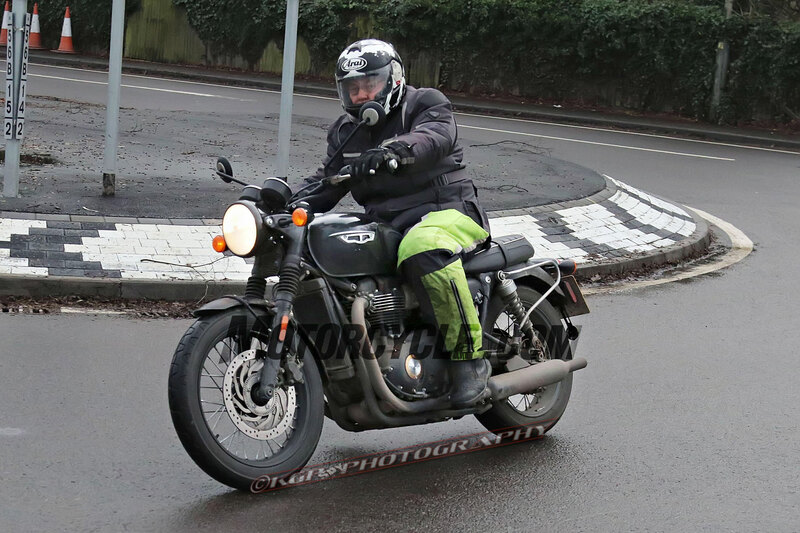 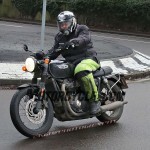 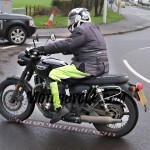 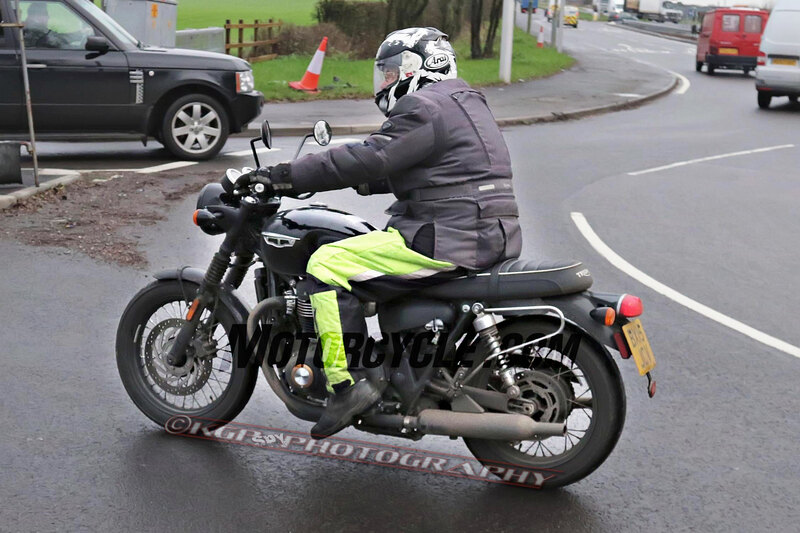 It’s sunny and 65 here today in SoCal, but that doesn’t stop us lusting after the new 900cc Triumph Bonneville, spotted testing near Triumph HQ in Hinckley in the UK on what doesn’t look like a very pleasant day. 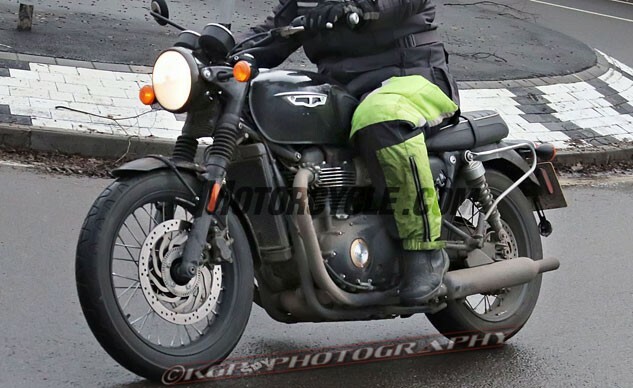 This one will be the standard Bonneville, nestled between the entry-level Street Twin we rode in December, and the 1200cc Bonneville T120, and serving as replacement for the current 865cc air-cooled Bonneville T100. 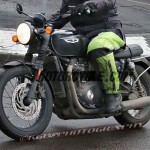 The new Bonne 900, which may appear mid-year as a 2017 model, looks almost identical to the newly-launched T120, complete with wire wheels and retro-’60s Bonneville styling. But instead of the T120’s 1200cc HT (High Torque) liquid-cooled twin, it will be powered by the same 900cc version as the cheaper Street Twin, which Triumph rates at 54 hp (but 60 lb-ft of torque); ‘900’ badges at the base of the cylinders identify it, and it appears to use the single throttle body set-up of the Street Twin’s 900 HT engine. 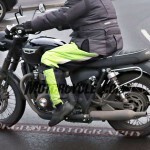 To cloak it, the bike’s side panels extend further forwards than those on the T120. 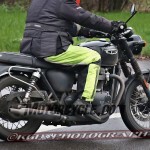 It also uses the fork and single front brake of the Street Twin instead of the twin-disc arrangement of the T120 and Thruxton. Should be good. 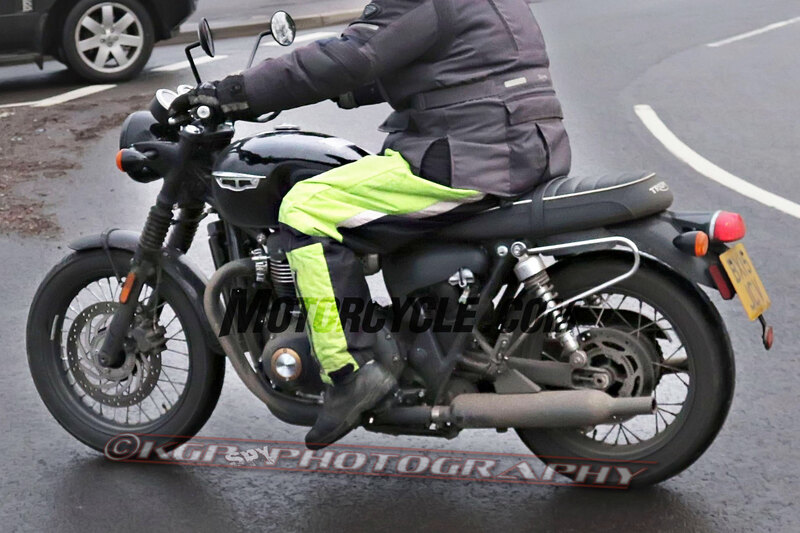 Stand by for more, as all the new Bonnevilles are scheduled to roll out over the next few months.